Last summer at NecronomiCon Providence, I moderated a panel called “Faithful Frighteners,” in which we discussed whether or not it’s harder for an atheist to be frightened by a story in which the horror depends on the trappings of a religious worldview. Faith is by definition the suspension of disbelief, so it struck me as related when at the same convention, renowned anthologist Ellen Datlow commented that she finds supernatural horror more effective in short stories than in novels because it’s harder to sustain that suspension of disbelief for an entire novel. It’s a fair point that I’m sure is true for many readers, but it wasn’t lost on the audience that Ellen made the comment while sitting next to Peter Straub, who has proven time and again just how effective supernatural horror can be at novel length. I’ve been mulling over this problem of belief in supernatural horror ever since. The earliest storytelling is rooted in myth and religion, in magic and monsters. But what is it that continues to make the supernatural so compelling to a modern secular audience? Surely there are fans of horror whose appreciation of the genre is enhanced by their religious conviction, by the notion that a character’s soul—not just their life—may be at stake. But most of the horror fans I meet seem to have a loose affiliation to religion at best. Many identify as atheist or agnostic and yet they love films like The Exorcist and Rosemary’s Baby, and consider ghost stories like The Haunting of Hill House and The Shining to be the pillars of our genre. Some of us just can’t resist a supernatural thrill ride, even if we don’t believe in ghosts or the devil. And why should that be surprising? After all, we don’t need to believe in Sauron or Voldemort to get emotionally invested in The Lord of the Rings or Harry Potter. Is it easier to accept the supernatural in fantasy, where we’ve already checked our disbelief at the door by entering an imaginary world? As always, this stuff is subjective. There are readers who would never consider picking up a horror novel but find witches and ghouls perfectly easy to digest between the pages of what they consider a children’s book, where realism and the concerns of serious literature are as expected as nutrients in a candy bar. 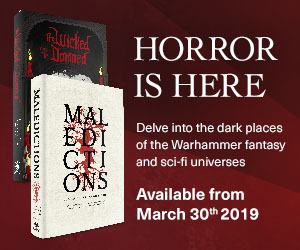 For another kind of reader, though—and I am very much cut from this cloth—there’s a special thrill in a book that faithfully establishes the world we know and live in, and then subverts it with the introduction of weird or supernatural elements. Maybe even uses these elements to illuminate the human condition. So what is it about the psychological flavor of that particular experience that has kept Stephen King, the undisputed master of the trick, on the bestseller lists for forty years? Is it that supernatural fiction fills a void in modern life by resonating with a basic human spiritual yearning that religion no longer satisfies for a large part of its audience? In other words, do we want to believe even if we don’t? Because aren’t even hostile forces from beyond death less scary than absolute materialism and the prospect that a flickering moment of slightly-evolved primate consciousness is all we can ever experience on this lonely rock hurtling through space? Ghosts are depicted as frightening because they represent the uncanny, but wouldn’t evidence of ghosts ease our mortal fears? Or is it more frightening to consider a threadbare continuation of consciousness devoted to haunting the living for eternity? The earliest usage of the word fascinate has to do with witches and serpents said to be able to paralyze with their gaze, making it impossible for their subject to look away. Maybe the power of the supernatural in fiction comes from the frisson we feel—even now in our sophisticated disdain for superstition—when contemplating those snake eyes we just can’t look away from: the fear and hope that abide in the unknown. Horror gives us a safe ground for exploring that fascination. It slides through our defenses with the reassuring word “fiction” printed on the jacket flap, allowing us to commit for a few hours to possibilities we’d be skeptical of in the context of religion or philosophy. And isn’t it somehow easier to accept the supernatural when it is hostile? Easier to believe in cosmic calamity and interior demons than in grace and guardian angels? Maybe that’s another reason why horror can slip sideways through our skepticism. Unlike the reassurances of religion, it appeals to our pessimism. It feels more honest. And yet, I would argue that the true horrors found in great supernatural fiction are not the monsters, demons and devils, not even the cultists who worship them, but the possibility that even in a world of contravened laws we may still be haunted by the same old human suffering. The vampire, werewolf, and magician time and time again ask us to contemplate the question: Does the creature who has conquered human frailty still succumb to the same old gnawing appetites that rule us? Does he still suffer craving, desire, loneliness and loss? If we could change the parameters of our existence—lengthen our span, loosen our morality—would we still suffer the same? These are the thought experiments we find in supernatural fiction, the existential questions we’ve been probing since the first myths and fables. And they still captivate us. Because you don’t have to take a symbol literally for it to have emotional power. The ancient roots of art and ritual, of shamanism and storytelling, are inextricably entwined in the human psyche, where a part of us will always submit to the spell of a tale told with conviction. There is something essential in the fairy story that we will never shake off. And it’s not just a thirst for escapism. Supernatural horror gives us a taste of the transcendent. It excites not just the fear but also the hope that maybe . . . just maybe, we haven’t got the world all figured out. Douglas Wynne wrote his first dark fantasy novel at age fifteen but has never found the courage to take it down from the attic and read it. 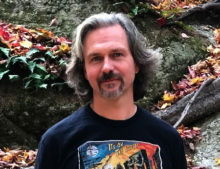 After a long detour through music school, rock bands, and recording studios, he came full circle back to fiction writing and is recently the author of five novels: The Devil of Echo Lake, Steel Breeze, and the SPECTRA Files trilogy (Red Equinox, Black January, and Cthulhu Blues). His recently published short fiction includes stories in the anthologies The Gods of H.P. Lovecraft, Tales from the Miskatonic Library, Shadows Over Main Street 2, and I Am the Abyss. He lives in Massachusetts with his wife and son and a houseful of animals.